Tablets, Capsules, Injections, and More – What is the Best Supplement Form? Determining the best supplement delivery system is difficult, because of the huge variety of options available. Common pill forms, popularized by the pharmaceutical industry, include tablets, hard capsules, and soft capsules. Other vitamin, mineral, and antioxidant supplements take the form of powders, lozenges, liquids, gels, and gummy vitamins. Recently, even vitamin injections have become common. Deciding what is the best supplement form, comes down to the active ingredient and the audience. Children, for example, need special consideration when designing a supplement. Most young kids are much happier eating a chewable, gel, or gummy vitamin. And they might struggle swallowing tablets. However, these kid-friendly forms need special planning and have some drawbacks compared to swallowed tablets or capsules. 7 So What is the Best Supplement Form? A well-made tablet or capsule provides a very effective delivery system, making it the chosen form of most pharmaceutical medications. This is because years of carefully controlled clinical studies have confirmed they’re reliable, and efficient delivery systems for medications. These products can also provide an increased amount of active ingredient (much more than a liquid, gel, or gummy). This results in fewer excipients. An excipient, is an ingredient that does not serve an active nutritional purpose. They may be included for stability, digestibility, manufacturing, or other similar purposes. In general, the stability and shelf-life of tablets is also superior to liquids or gummy vitamins. Tablets and capsules are best used for vitamin, mineral, and antioxidant supplements that do not need large (> 2 grams) doses. Vitamin C, B vitamins, iron, iodine, etc. all have typical daily doses that are small enough to easily be included. Many of these nutrients also have a bad taste that can be difficult to hide in other forms. Like other tablets, chewable tablets are best used for ingredients that are only taken in smaller (< 2 grams) doses. They also share the benefit of a long shelf-life. Chewables may be the best supplement, for those who have trouble swallowing whole tablets or capsules. Because the tablets are chewed up, bad tasting ingredients must be masked with sweeteners and flavorings. This limitation means that chewable tablets typically have some sugar in them. Some chewable multi-vitamin, multi-mineral products are also missing essential minerals like selenium, chromium, magnesium, and zinc, because it is hard to mask their flavors. Gummy vitamins, like chewable tablets, are much better tasting for children and those who have trouble swallowing tablets. Despite their taste, they are not candy and should not be taken beyond the recommended dosage. They are even more limited than chewable tablets in what types of ingredients they can contain. Gummies often have very few minerals, and are usually absent of most of the essential minerals. For the ingredients that they do contain, doses are often much smaller as well. The best uses for gummy vitamins are typically select ingredients that are compatible with gummy vitamins, that only need to be taken in very small (< 100mg). Powders have the benefits of being easy to consume and can include larger (> 2 grams) of some nutrients. 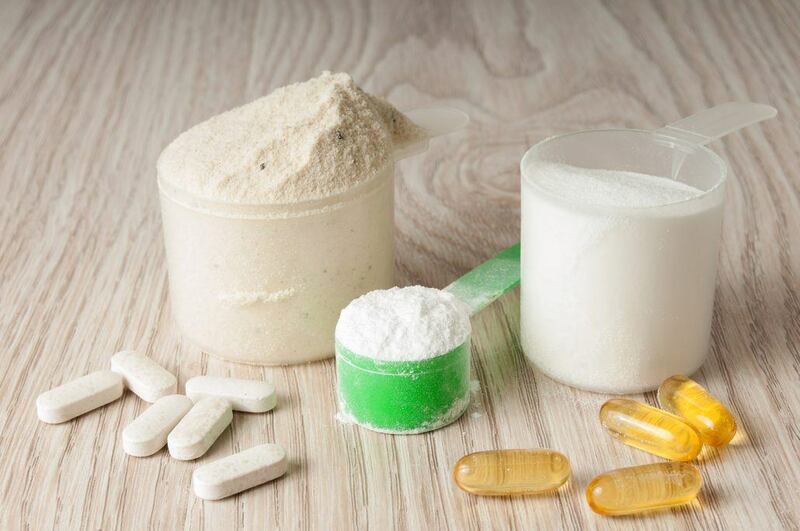 The active ingredients found in powdered supplements will be tasted, so they must either have a pleasant flavor, or be one that is easy to mask. They must also contain ingredients that are soluble in the liquid, or are easy to shake up. Protein powder is one of the most popular powdered supplements, and is an ideal candidate for this delivery form. Protein delivery requires doses too large for a tablet or capsule, it is easy to make taste good, and mixes easily with water. Other ingredients that are commonly found in powdered mixes are branched chain amino acids (BCAAs), creatine, and caffeine. Immune-boosting formulas are also commonly found in stick packs, which can be easily mixed with water. Liquid supplements generally have the same types of ingredients, benefits, and drawbacks as powdered supplements. The one difference is that they have already been mixed with a liquid. Liquid supplements are best for ingredients often found in powders, like protein, branched chain amino acids (BCAAs), creatine, and caffeine. Micronutrients often found in liquid supplements include vitamins D, B, or C.
Since they are already mixed, liquid supplements typically have a shorter shelf-life than their powdered equivalent. Liquid supplements may also require many more “other” ingredients. This includes emulsifiers, solvents, preservatives, stabilizing agents, coloring, flavoring, and more. Certain vitamins can be injected intravenously (IV) or by intramuscular injections. Injections are a great option for delivering select nutrients in large doses. Vitamin B12 is one nutrient that has shown therapeutic benefits in some populations. One concern with injections, is that many nutrients are not safe to inject. Of those that are safe to inject, very few of them offer extra measurable benefits to the average person over eating the nutrient. Because of this, injections should only typically be done at a doctor’s recommendations. Injections also bring additional risk factors. At the very least they can be uncomfortable. IVs pose a risk of infection, bleeding (hematoma), embolism, and more. So What is the Best Supplement Form? The large variety of supplement forms each have their own benefits and downsides. Ultimately, the best supplement form will depend on you and your individual needs. It will depend on the active ingredients that you need, and individual preferences for swallowing tablets, taste, and convenience. Special medical needs may also determine the form a doctor may recommend to you. The best advice when deciding the best supplement, is to consider all the factors listed above. Do the pros outweigh the cons? Is the form being used for its real benefits, or is it just a marketing tactic to be different? Why do some products (including supplements) have a distinct scent? Will supplements affect my body’s blood pH?